Unlike fiberglass, there are no fibers. If you have ever worked with fiberglass insulation, you’ll quickly realize it has only one advantage: it’s cheap. Other than that, fiberglass is one of the worst building materials I have come across. The fibers are so small you breath them in, either when installing or doing a demo or even during ‘normal use’, when everything is done. That’s because air flows through the cavities of the home and also through fiberglass, carrying small amounts into the home, even if you can’t see them. XPS is solid and remains solid. When you install XPS, no fibers will bother you. No air or moisture can get through, well very little moisture gets through XPS, which leads us to the next point. Fiberglass is also a great moisture ‘battery’, which XPS is not. If you rip out fiberglass insulation on a very cold day, you’ll notice ice on the exterior side on the fiberglass. That’s indoor moisture that got past the vapor barrier and through the fiberglass all the way to the roof, which is frozen. You’ll likely see mold and all sorts of dirt, too. Hence, now you have a lot of ice which will turn into water once the weather warms up. That water will be carried by the fibers in the insulation. Water is heavy, hence, the fiberglass will settle down and become thin. In walls this means the upper section of the wall will have no more insulation after a few years because it is all dragged down by the condensation inside the wall. “Properly installed” vapor barriers can prevent most of this kind of condensation damage, but in ceilings it’s much harder to prevent condensation, which eventually leads to mold inside the fiberglass. That moisture eventually affects the wood and causes mold to grow once the chemicals inside the fiberglass wear off. If your vents aren’t sealed off properly (some houses don’t even have roof ventilation!) insects will come in, even birds and rodents. They love fiberglass. Once I opened a wall which had a small section insulated with fiberglass. The fiberglass was packed with mice droppings, probably 10 gallons! Did the mice visit other areas? No, why bother, the warm area was the spot of interest, nice and cozy fiberglass 🙂 XPS won’t have such issues. The backside is hard and ice cold, so no potential for rodents or mold or air flow. Odors: I love XPS because it has no odor. To be precise, it does off-gas when you first buy it. I would recommend keeping it outdoors for a week or so. Then it’s clean. Fiberglass, on the other hand, contains chemicals to prevent mold and rodents. And you end up smelling that in your house later. At least you are breathing it in and out for a long time after installation. During installation, the odors can be quite strong and unbearable. XPS won’t sag, almost no moisture gets through, and it has more advantages. Because it won’t sag and the cells remains closed, it barely loses any R value. Fiberglass is a different story. It can shrink to just 30% of its initial size and lose most of its insulation value. Densely packed fiberglass is marketed to offer some relief here, but truth is, it also sags over time. When the wall or ceiling swells up with condensate, the drywall underneath will sag, too. And the entire set up will smell! Certain odors in the home are from condensates inside the building’s cavities. Once you know what it smells like, you’ll identify it in many buildings. XPS is very dense. It’s a hard board with very high R-Value. 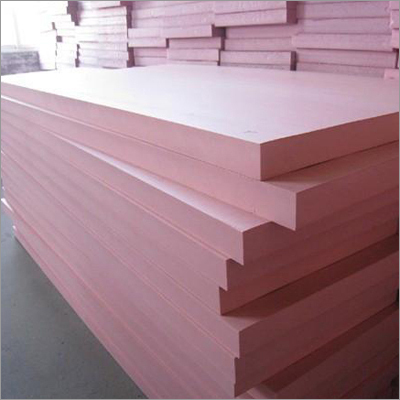 If you want R-20, you simply buy 4″ boards or sandwich 2x 2″ boards. You can’t get R-20 with 4″ of fiberglass. Also the R-values aren’t really compatible. Because air and moisture travel through fiberglass almost freely without resistance, the r-value is in reality much lower than with closed cell foam. This is why many spray foam installers will tell you R-20 “is enough”. And from my experience it is indeed, at least for the D.C. metro climate area, which is mixed hot-humid with rather cold to mild winters. Because I’m not a salesman like those other websites you read insulation info about (and lots of bogus forums that only exist to promote spray foam), I have plenty of disadvantages here for XPS, too. Because nothing in life is only positive or perfect! The price of XPS is a big deal. A sheet now costs $20 (2016) (8 by 2 ft, 2″ thick, R 10) at my favorite shop “Home Crappo”. Installation of XPS might cause some percentage of it to go to waste. Because you need to cut it, some pieces may end up in the trash. For some projects, this could be even 10-20%. Yes this stuff burns! But! I tried it many times to set it on fire. I even put it in the barbeque grill (not one that I use for food obviously). The way it burns is very interesting. It contains flame retardant and hence the flame IMMEDIATELY goes off when the flame is gone. But if you hold a flame to it, it burns like paper. I put some samples on fire to be certain that electric fires won’t burn down the house and I’m satisfied with the results. Note that you should definitely use vapor barriers with flame retardant, as well, as those without burn like gasoline. Some people say flame retardants are causing cancer and I believe it. However, when sealed inside the material they should be fine…and stay in there forever without becoming airborne. Another major issue: Almost nothing sticks to XPS. Most tapes do not stick to XPS in the long term. Yeah it might look nice when you tape it first, then you come back a week later and all the tape is down. Gorilla tape stinks so bad, you’ll end up with a lot of re-work. HVAC tape is very good but since there will be a little motion between sheets and since the temps will be going up and down, even those tapes come off. XPS is only rated up to 60C. If you intend to use XPS under your roof deck you need to take measurements on the hottest day of the year. My energy star rated metal roof heats the roof deck up to 56C, so I’m good. But a darker asphalt shingle roof can easily pass 70C, so that would be too much. You may need a different material if that’s the case. For walls, 60C is plenty. I hope this article helps someone made informed decisions. Feel free to contact me with suggestions and comments as you wish. We could probably write an entire book about the pros and cons of insulation materials but time is scarce. I usually work on Hyper-V backup products and we scratch our heads all day thinking about how to improve it. I prefer the itch of curiosity over the itch of fiberglass….